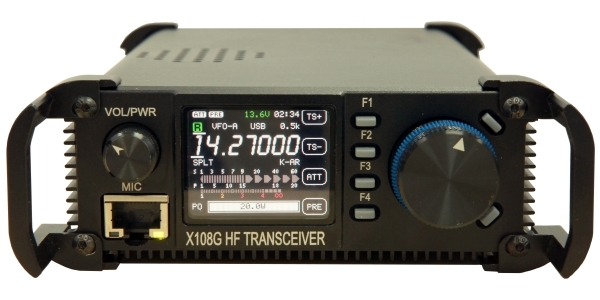 X108G Outdoor is X108’s upgraded version, It is a compact single conversion HF transceiver covering 0.5 to 30 MHz. Equipped with a 2.3k SSB filter and a 500 Hz CW narrow-band filter, Excellent filtering characteristics. It include a switchable AGC circuit, Large dynamic range. 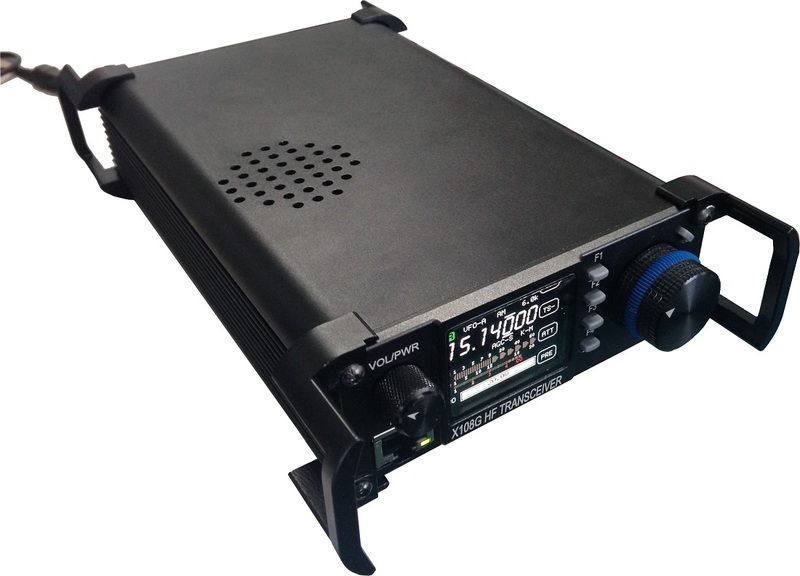 Other features include a preamplifier and signal attenuator, RIT control for SSB use, and RF output power variable from 1 to 20 Watts. The front panel meter can display incoming signal strength, RF output power and VSWR, and the transceiver includes high VSWR protection circuitry to guard against potential damage to the output stage caused by antenna mismatching. The RF output stage features imported RF MOS tubes and APC circuitry for constant output across all bands. A noise blanker (NB) module is available as an option, as is a high stability 0.5 ppm TCXO module. Its performance to meet the FCC (or CE) certification requirements. X108G outdoor version equipped with a color OLED solid-state screen, Ignoring the strong outdoor sunlight irradiation, still clear. Has four full aluminum handle for better protect the machine. 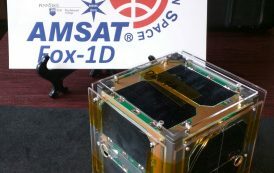 AMSAT’s Fox-1Cliff CubeSat Ready ! Antipodes Islands (ZL9) OC-286 New!